Over the years I’ve had many different neck-straps. Several years ago, I began to notice some soreness in my neck and shoulders after long practice sessions and started trying alternative neck-straps to alleviate this. 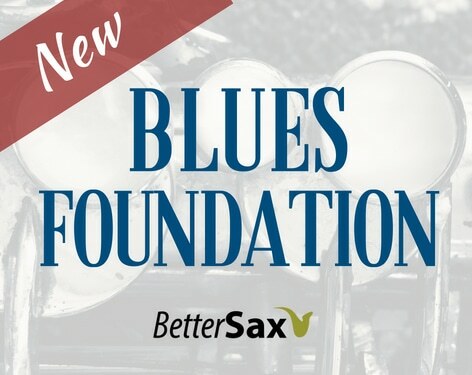 Today I’m using the Saxholder by JazzLab which is a relatively new device that is different from any of the other neck-straps I’ve used, and is the first one to effectively allow me to practice and perform with no fatigue on my shoulders, neck and back. In my lessons, I am always telling my students to stand with good posture, relax their shoulders and keep their head and neck straight. When using a traditional neck strap, you have to fight against the downward pull on your neck. The point bearing the most pressure and weight happens to be your spine where a lot of very important nerves are. There is also quite a bit of pressure on the sides of your neck where your blood flows to your brain. These are areas where you want to avoid putting unnecessary pressure. You may have noticed that traditional neck-straps will leave dark red marks on your skin from this pressure. The design of traditional neck-straps is therefore terrible in my opinion, and they should be avoided. For the last 18 months or so, I’ve been using the Saxholder by JazzLab and am very satisfied with it. Initially, I found it quite odd and fiddly. It was difficult to get it to sit right and feel natural. Having read that this happens to everyone who eventually adopts this device, I continued to use it and before long, I felt at ease with it. The hook on the Saxholder is fantastic. I love this design, and feel very confident that it won’t come undone mistakenly. It is very easy to attach and detach form the horn, and won’t mark up the lacquer of your saxophone. This is as good or better than on any other neck-strap I have ever tried. The adjuster can be moved easily, yet has a firm resistance. Once you choose your spot, it won’t slip down lower like just about every other neck-strap in existence. In addition, you can make tiny, micro adjustments to get your horn set to the perfect height. This is the key element that displaces the weight of the saxophone between your shoulders and abdomen. The result is the horn feels much lighter. 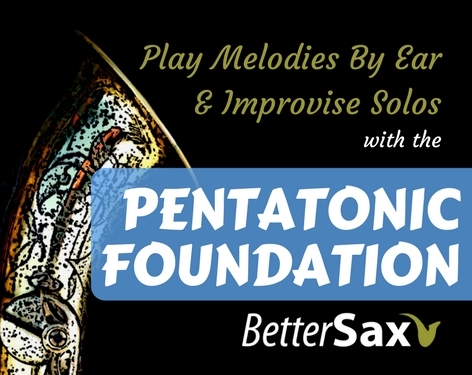 This mechanism can be easily adjusted to work for saxophone players of any size. I’ve seen small children using the Saxholder which is great. If you’ve ever had young saxophone students, you know how difficult it can be to find a neck-strap suitable for smaller kids. The design also allows for use by larger and taller players. Some of the thickly padded neck-straps out there will cause you to sweat and get over heated when doing summer time gigs and practice sessions. Being sweaty because of your neck-strap is no longer an issue with the Saxholder. After over 18 months of daily use, I have not noticed any wear on any of the parts of the Saxholder. It appears exactly as the day I bought it. I expect that I can continue to use this device for years to come with no problems. The Saxholder allows me to play the saxophone in an ideal position which is, for me, directly in front of my body when standing up. Some of the other alternative design neck-straps force the horn into an awkward position. I use the Saxholder with my tenor sax. On alto I don’t feel the need for it and have been using another well designed neck-strap. 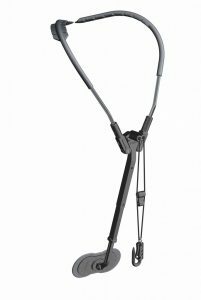 I have used it with my alto as well and it works great. Maybe I’ll buy another one to leave in my alto case. I’ve also tried it on soprano and it works fine even though it is even less necessary there. You will probably have trouble fitting the Saxholder into your soprano case. 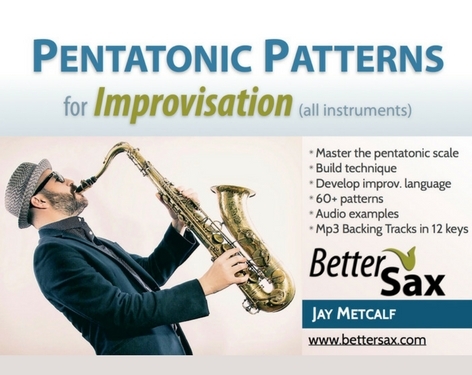 If you’re a baritone sax player, you should really give the this thing a try. Will the Saxholder Fit in My Case? At first, I thought I wasn’t going to manage to fit the Saxholder into my case since I already kept my neck in the bell. As you can see in the photo, I have a Bam HighTech Case and there is a bit of room between the bell of the horn and the exterior shell. I put the pouch with the neck in this space, and the Saxholder fits in the bell. This is an important consideration if you have an even more form fitting case. Will I Look Weird with that Thing? I have to admit, I thought it looked pretty weird at first. I quickly realized that the Saxholder has a lot of advantages over a traditional neck-strap when it comes to cosmetics. I love how my shirt collars and ties are no longer squished and pulled down like they were before. I’m no longer trying to fix my collar while on stage with tons of people watching me. The Saxholder also sits well on top of a suit jacket. I’ve not noticed any damage to any of my jackets that I’ve worn with this thing, and I do hundreds of gigs a year and only have a few different suits. Other straps I have used in the past sometimes frayed and wore out the fabric of my jackets. 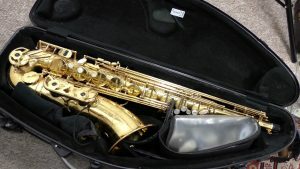 Depending on your case, you may have trouble finding a spot to store the Saxholder. Keep this in mind before you purchase. If you keep your neck inside the bell of your saxophone, you may need to find another place for it since the Saxholder will generally need to be stored there. If you have a large exterior pocket, you may be able to store it in there as well. I do find that when being stored in the bell, the Saxholder does not scratch the lacquer of my horn since the parts are all made of plastic or rubber, and there are no sharp edges. There is also a cloth pouch included which is designed for this purpose. 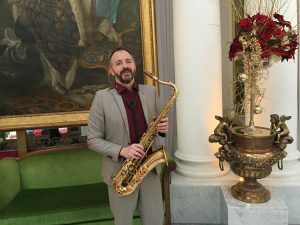 Personally, I play almost exclusively standing up and the Saxholder allows me to hold my saxophone in an ideal position directly in front of my body. When seated and playing tenor, we hold the horn off to one side, the Saxholder doesn’t work as well in this situation. So, if you spend a lot of time playing while seated you may not like it as much as me. To be fair, I do occasionally sit down in my practice room when transcribing and although the Saxholder doesn’t feel ideal, it still works fine. This could also be something that takes some getting used to. 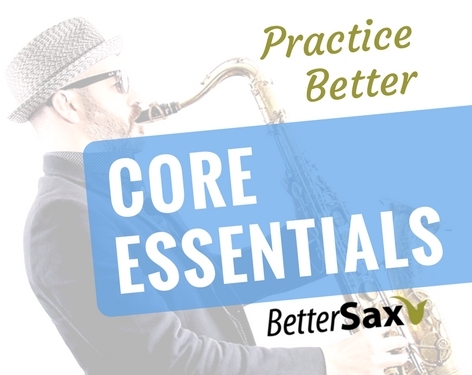 If you have any neck, back or shoulder issues from playing saxophone you need to first, correct any bad posture habits. I suggest practicing in front of a mirror and video recording yourself playing to identify problems and fix them. If you want to reduce the weight of your horn, and help avoid future health problems related to playing saxophone or attempt to reduce pain you already experience, I highly recommend the Saxholder. Click the link below to shop for the Saxholder on Amazon. That’s where I bought mine and I believe they have the best price. Feel free to share your thoughts and experiences with the Saxholder in the comments section. It’s also critical to get the abdominal rest in the right position. My instructor found that this definitely inhibited his breathing no matter where he placed it. However, I have found that if I place it as low as possible on my stomach, it does not interfere with expansion of the chest using my diaphragm as well as my stomach muscles. You can also place it in either a vertical or horizontal position. I find the amount of pressure on the abdominal rest is minimal. I have a Protech case which has a separate place to put both mouthpiece and the neck. The holder in it’s carrying bag fits in the bell quite nicely. The case also has two compartments, one of which the sax holder fits into well. So this is not been a problem for me. The booklet that comes with the holder has very clear and explicit instructions on how to manipulate and adjust each one of these areas of the horn. The bottom line, as with most other technical aspects of playing, personal preferences rule. Jazzlab will give you your money back after a trial period. To obtain relief from neck discomfort is worth the minimal expense. Hope this review is useful. I’m a retired computer programmer who spent the last 50 years with my head over a keyboard. As a result, I have developed issues with my cervical vertebrae. After retiring, I went back to an old skill, saxophone. I play a 1936 Buescher Aristocrat and I love it. However, the neck strap issue hit me after about a year when I started having neck pain after rehearsal. I researched saxophone support systems online and found the solution to be a strap that distributes the weight of the instrument to my shoulders. There were two that popped up with good reviews, the JazzHolder and the strap from France that starts with the letter ‘V’. I went with the Jazzholder because of price and because I didn’t like advertising a company with my neck strap 😉. I have been very satisfied with my choice and recommend the Jazzholder to anyone who is having neck pain while playing.